This post has been sponsored by Barber Foods. All thoughts and opinions are my own. 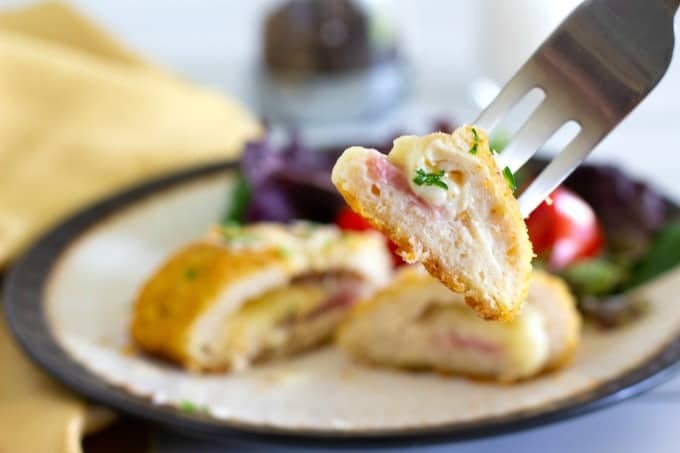 You don’t have to be a chef to make a Chicken Cordon Bleu that tastes like it’s from scratch! Find out about one of my favorite mom hacks for an easy dinner your family will love. When you’re a busy mom, life throws a lot at you! Between chauffeuring the kids to after-school activities to working on last minute school projects, mom life is awesome but definitely hectic! That’s why every mom needs some good hacks up her sleeve. I’ve got plenty, and my favorites usually center around dinner. There’s just not always time to cook a meal from scratch (and honestly, sometimes a mom just needs a break). That’s when I hit the freezer. 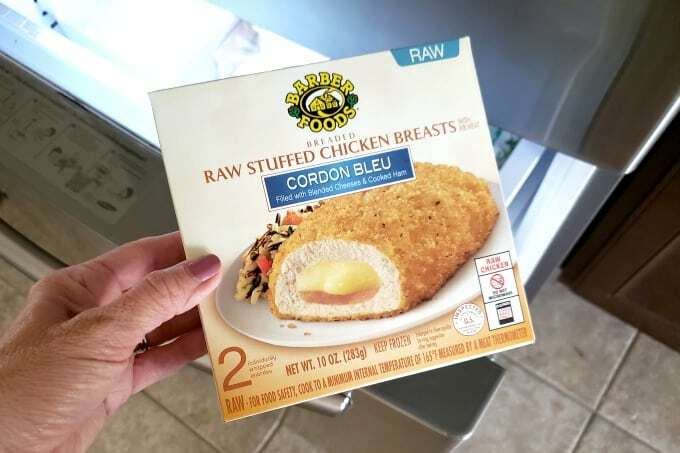 If you don’t have Barber Foods Stuffed Chicken Breasts in your freezer, you’re totally missing out. 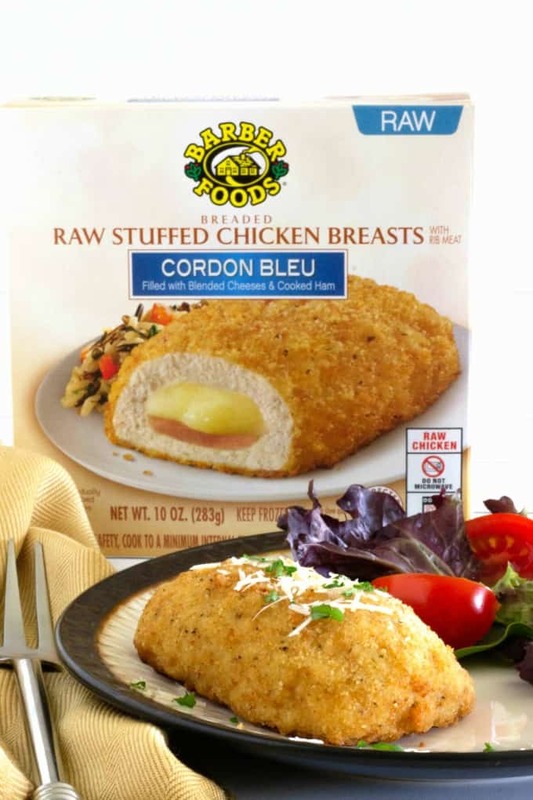 Barber Foods has had the original stuffed chicken breast for over 40 years. Not only do these meals make dinnertime easy but they taste delicious, too. Since there are several varieties, you can customize dinner to make it special. 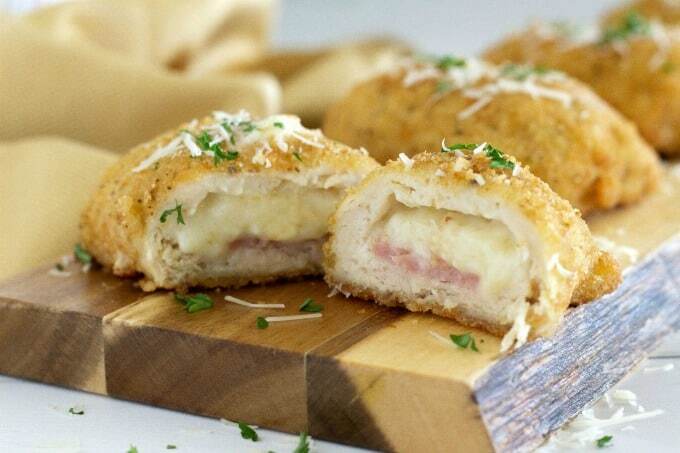 Of the different varieties, Chicken Cordon Bleu is our favorite. 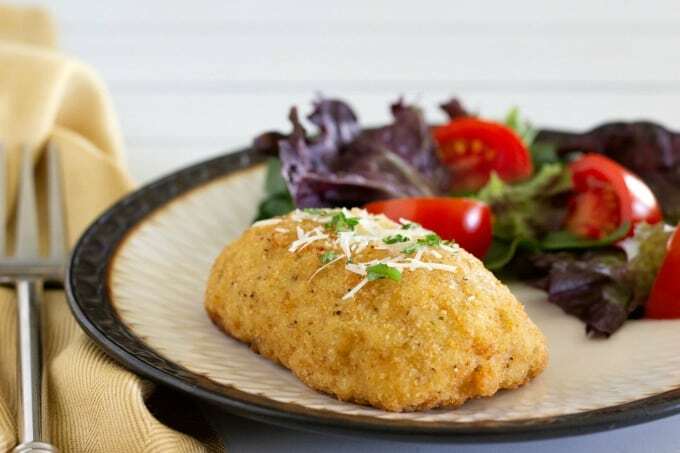 Filled with blended cheeses and cooked ham and covered in breading, it’s the perfect option for dinner in a hurry. 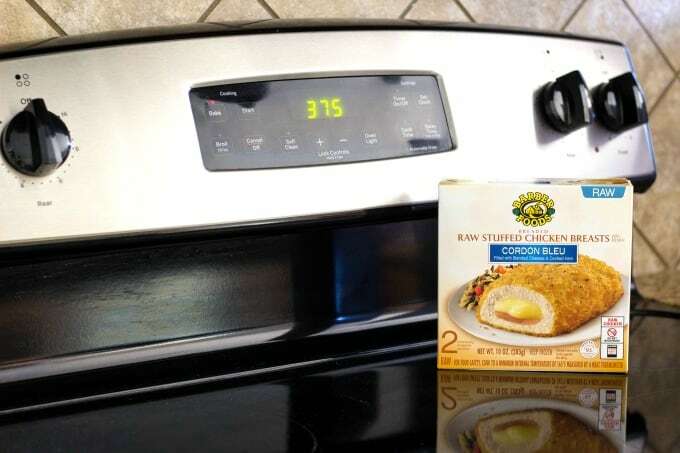 I stock up when I go to Publix and grab a few boxes from the frozen food section near the chicken. I like to have them on hand because I never know when I’ll need them. Just because you’re not a chef, it doesn’t mean you can’t make a delicious meal that tastes like it’s from scratch. I love that these take so little time to make, too. Pop them in the oven and by the time you make a side, fill lunch boxes for the next day and set the table, you’re good to go. You’ll know they’re ready by the delicious smell filling your house! It really doesn’t get much easier than this. If I happen to have parsley or parmesan cheese (or both), I may even sprinkle a little over the top. The best part is when you cut into them and the melted cheese slowly drizzles out. You can serve pretty much anything alongside these. We usually pair ours with asparagus or salad. 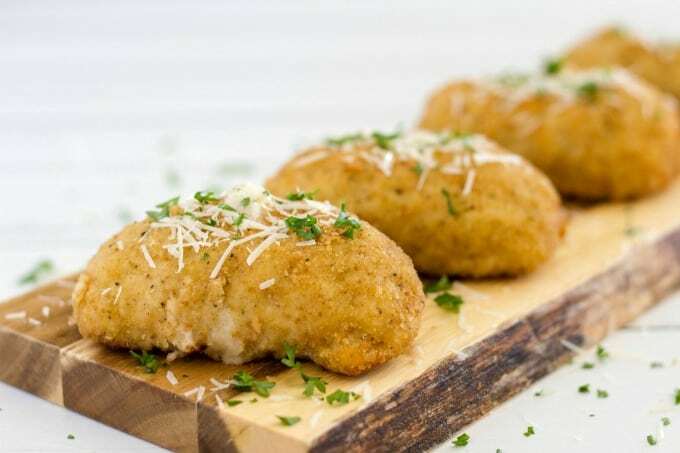 One bite of this yummy chicken with melted cheese and ham and you’ll be totally hooked! Every busy mom should have a few boxes of Barber Foods Stuffed Chicken Breasts in the freezer. You never know when you’ll need them! 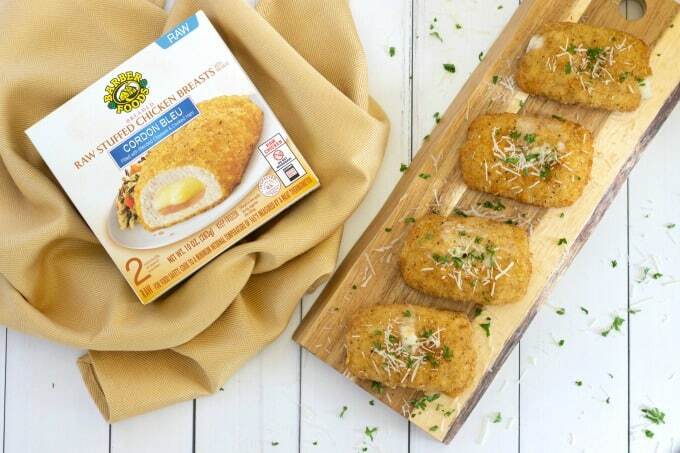 Do you have a favorite variety of Barber Foods Stuffed Chicken Breasts? What are some of your favorite mom hacks?